Racing begins at 3pm, gates open 1pm. Alfie Bowtell lost sleep over his shaky start to his Eastbourne career. The performance was particularly galling for the Epping youngster as he had invested heavily in his machinery prior to the season starting. 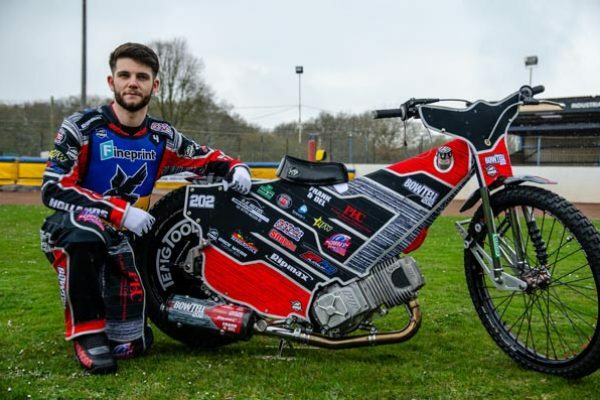 Now, as the Fineprint Eagles gear up for Good Friday’s cup tie at Arlington Stadium, Alfie is aiming to show the Brummies just what he can do. 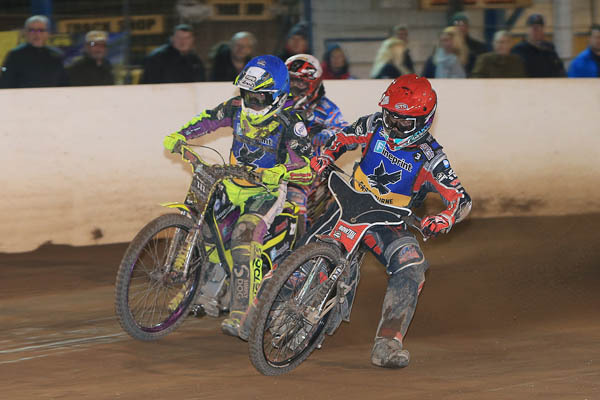 He was a relieved rider last Saturday when he followed Lewi Kerr home in heat 3 for an Eagles 5-1. Alfie contributed another paid win in his five (paid 8) points. “I am happy with that. No problems. “Pretty much everything was new, apart from motors. I took them apart after last week and put in new coils. That must have been the issue. He said it had been a tough week, worrying if the problems would reappear on Saturday. He had a practice before the match and felt much more confident after that. “I was struggling last week and was lying in bed thinking ‘what is going wrong’. 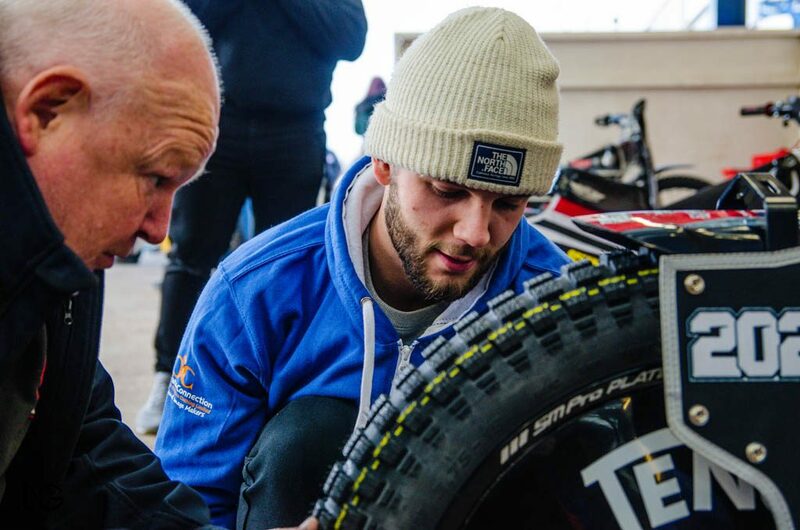 The Fineprint Eagles are next in action on Good Friday when they face Birmingham in the first leg of a Knockout Cup tie at Arlington Stadium. First race at 3pm. Gates open 1pm. First 100 children through the gate will receive a free Easter egg.